Crimes committed against victims due to their disability, sexual orientation or transgender identity could be punished more harshly, the Law Commission has suggested in a call for a comprehensive review of ‘hate crime’. A report published today recommends reforms to ensure the criminal justice system is able to make a ‘stronger and more coherent’ response to hate crime. 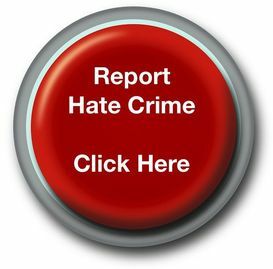 For policing purposes, a crime is recorded as a hate crime if the victim or anyone else believes it to have been motivated by hostility based on disability, gender identity, race, religion and sexual orientation. But criminal offences available do not cover all five characteristics. The Crime and Disorder Act 1998 created racially and religiously aggravated offence and the Public Order Act 1986 criminalises various forms of stirring up hatred on the grounds of race, religion and sexual orientation. The commission said responses to a consultation showed strong support for extending the aggravated offences, but many responses also indicated that existing offences are ‘unnecessarily complex and not working well’. The commission recommends a ‘comprehensive review’ considering how the criminal justice system should best protect victims of hate crime, which characteristics should be protected by specific criminal offences, how such characteristics should be identified and the role played by sentencing. The commission notes that such a review would require government support and resources. If that was lacking, it suggested the ‘alternative but less satisfactory solution’ that the aggravated offences should be extended to disability, sexual orientation and transgender identity. Its research found that enhanced sentencing powers are being under-used, in part because the hostility element of hate crime is often not investigated fully and the court is not given the evidence needed to enhance sentencing. It recommends that the Sentencing Council provide clear guidance to judges on sentencing for any crime with an element of hostility, and that the Police National Computer record where any offence was aggravated by hostility. However creating new offences of stirring up hatred on the grounds of disability and transgender identity would bring very few successful prosecutions, the commission said. He said the government welcomes the report and will be considering the recommendations before responding ‘in due course’.